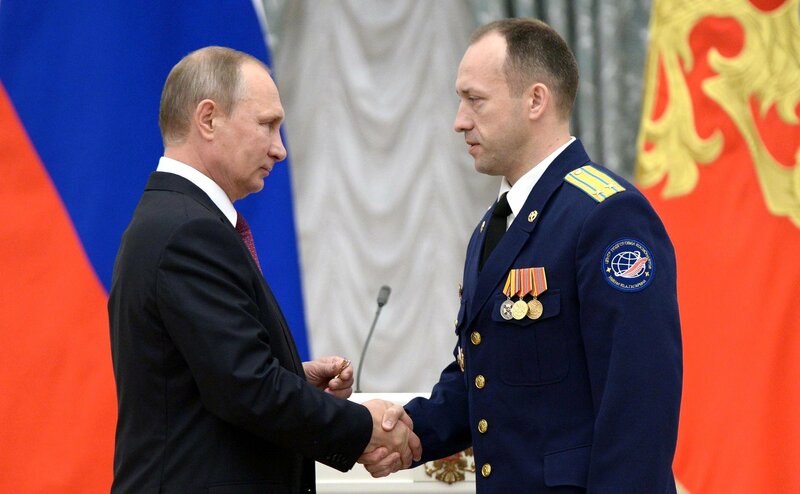 Vladimir Putin has awarded cosmonaut Alexander Misurkin. Russian President Vladimir Putin has bestowed state awards on renowned Russian nationals. Traditionally, the ceremony took place at Kremlin’s Catherine Hall. The president said a few words about each of them, marking strong traditions of labor dynasties in Russia and continuity in profession. President Putin also marked the fascination of art, expressing "particular gratitude to cultural figures, who generously share their talent and experience with numerous students". The president listed among them "magnificent choreographer Boris Eifman, splendid musician Sergey Roldugin and loved by millions in many countries famous conductor and musician Valery Gergiev". The president also marked a tremendous contribution of educationists.